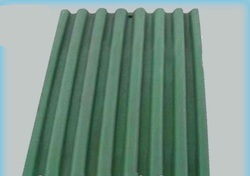 Offering you a complete choice of products which include crusher jaw plate pattern and aluminum pattern. Owing to our rich industrial experience, we offer premium grade Crusher Jaw Plate Pattern in the market. Available in various designs and patterns, these can be customized to suit varied customers requirements. These are more durable and compatible in nature. We are well-reckoned as one of the leading manufacturers and suppliers of Aluminum Pattern to our clients that are manufactured using high-quality raw material in compliance with international quality standards. Our clients can assure because every part is carefully checked for quality and exactness. These are available in diverse designs, shapes, and sizes in the industry as per the various specifications of our clients’ at the most competitive prices.